The City of London Corporation has backed plans for the Tulip – a new visitor attraction in the Square Mile which will be the City’s tallest building. The Tulip will rise to 305.3 metres in height making it the second tallest building in Western Europe, second only to the Shard across the Thames. It is expected that the new observation tower and its commanding views will attract up to 1.2 million visitors a year. Designed by Foster + Partners, the Tulip will be built in Bury Street next to the iconic Gherkin. The developer behind the scheme is Brazilian-based Safra group who also own the neighbouring Gherkin skyscraper in St Mary Axe. A PLANNING application has been submitted to the City of London for the Square Mile’s tallest building yet. The Tulip, proposed by the Safra Group which also owns the Gherkin it would stand next to, would be a new visitor attraction stretching one thousand feet (305.3 metres) into the sky. If approved, the mixed-use visitor attraction in the Eastern Cluster Area would include viewing areas, class rooms, a public roof garden, hundreds of bike spaces, and restaurants and bars. Five story 20 Bury Street would be demolished to make way for the proposed tower. The Tulip would be 5 metres shorter than the Shard and a metre taller than Eric Parry’s proposed 1 Undershaft. The scheme is targeting a BREEAM rating of ‘Excellent’ and could be completed by 2025. The planning application for the scheme is 18/01213/FULEIA. CGI by DBOX for Foster+Partners. BLOOMBERG’s new European head office in the City of London has been awarded the 2018 Sterling Prize by the Royal Institute of British Architects. The stunning building, just off Cannon Street, has created over 100,000 square metres of office and retail space across two buildings separated by a new public arcade which recreates an old Roman thoroughfare. Thought to the be the biggest stone building built in the City since St Paul’s Cathedral in the late 17th century, the Bloomberg building was the unanimous choice of RIBA judges. The £1bn redevelopment designed by Foster + Partners was labelled a “a once-in-a-generation project”. It’s the 23rd time that the Sterling Prize for excellence in architecture, named after James Sterling, has been awarded. Foster and Partner’s also won the award for the Gherkin at 30 St Mary Axe in 2004. A FLEXIBLE office provider with six business centres in the City of London has announced a new refinancing package worth £84 million. BE Offices has just concluded the deal with HSBC which extends the period of its fixed debt to five years and releases cash to fund the company’s planned expansion. BE, which was founded in 1994, acquired the co-working specialists Headspace Group last year. The company’s City of London business centres are in Aldgate, Barbican, Cheapside, Farringdon, Threadneedle Street and at the Royal Exchange. It has a further thirteen facilities at locations across London and the UK. TWO new water fountains installed at Liverpool Street station have made a splash since their arrival. More than 8,000 litres of drinking water, equivalent to 16,000 bottles of water, have been dispensed by the recently-installed fountains in less than a month. The water fountains, located near the Underground entrance and near the Bishopsgate exit, were part of an initial group of four installed in the capital and the Mayor of London Sadiq Khan has announced a further sixteen locations across London. The Mayor has worked with theZoological Society of London’s (ZSL) #OneLess campaign to secure the locations of the fountains. Mayor Khan partnered with MIW Water Cooler Experts on a London Drinking Fountain Fund to provide up to £85,000 to finance the installation of fountains. 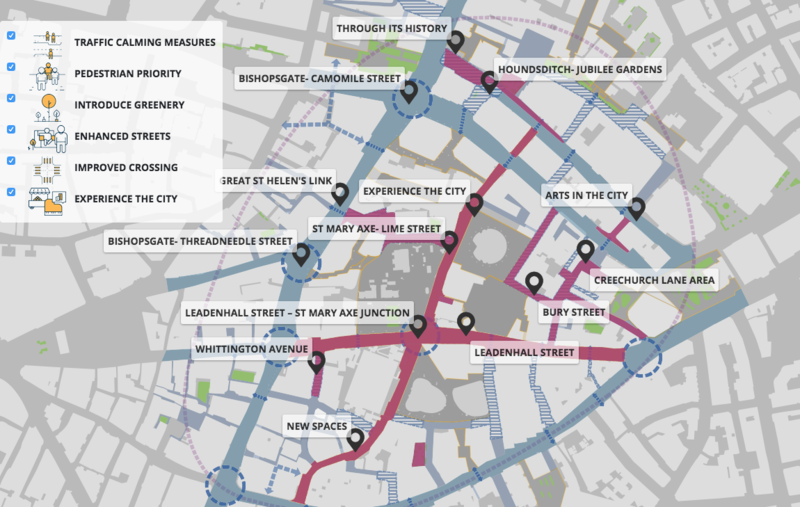 The Square Mile’s local authority says it wants to receive views about a range of proposals to the public realm in an area which has become home to a group of the City’s tallest buildings. A range of proposals have been published including traffic calming measures, prioritising pedestrian routes, introducing greenery, and improving crossings. The strategy has an ambition “to create outstanding public spaces” between the tall buildings which include the Leadenhall Building, the just-approved Cheesegrater 2, the Scalpel and the Gherkin. The consultation runs until August 5th. 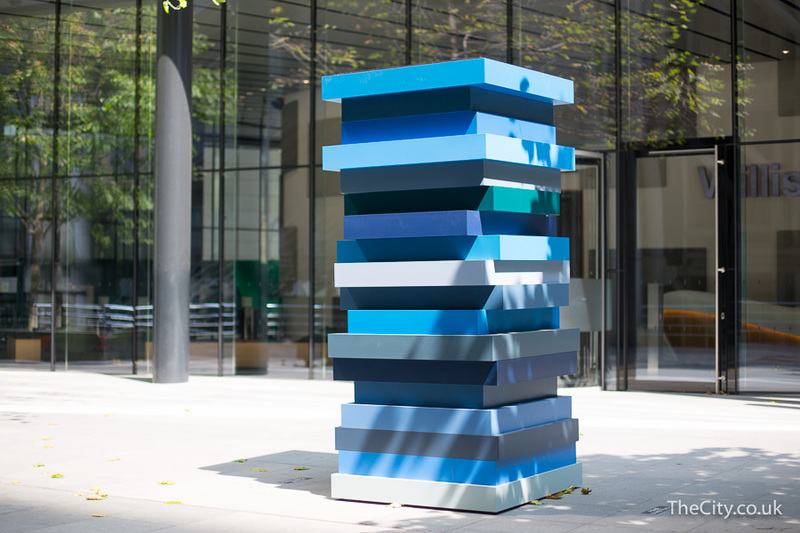 ‘SCULPTURE in the City’ has returned to the streets and public spaces of the Square Mile. 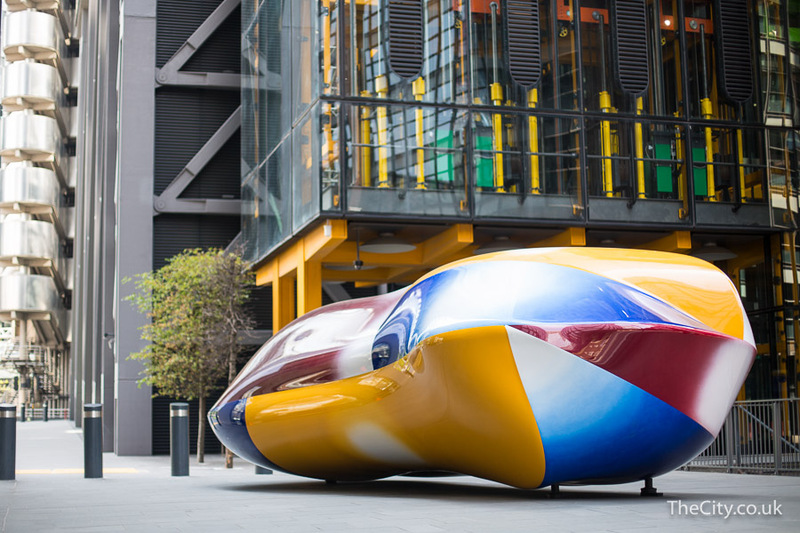 Almost twenty pieces of contemporary art have been placed in locations in the City – clustered between Liverpool Street station and Fenchurch Street station – for the annual celebration of sculpture. 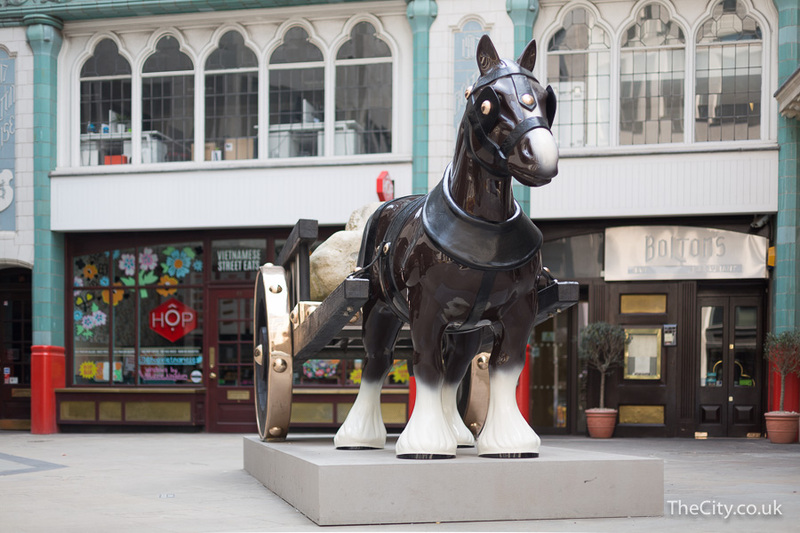 Internationally renowned artists such as Marina Abramovic, Tracey Emin, Sean Scully and Sarah Lucas are amongst the contributors to the project. 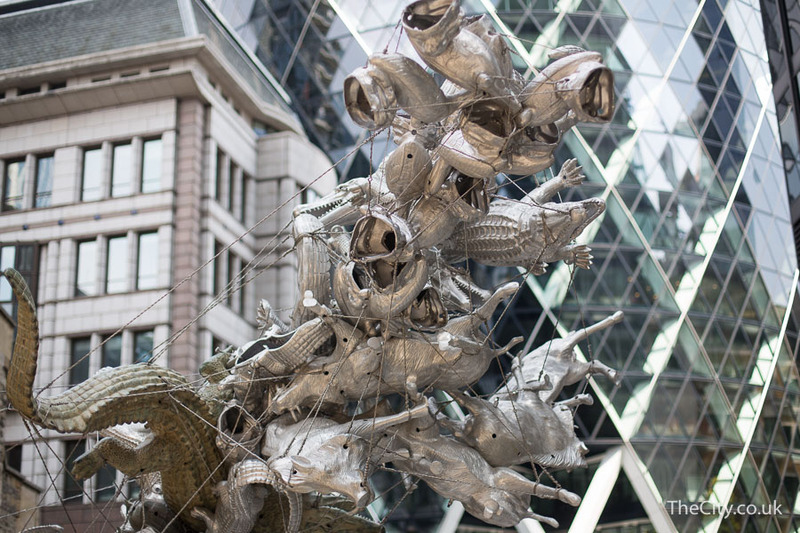 This year’s brilliant edition of the free sculpture trail is the eighth, and for the first time features aural installations too. THIRTY five firefighters tackled a blaze in the basement of an office building in Fleet Street on Saturday (16th) morning. Emergency services were alerted to the fire at 09:59 and twenty three people had managed to safely leave the building by the time London Fire Brigade. Six fire engines and crews from Dowgate, Soho, Euston, Shoreditch and Whitechapel stations got the fire under control by 11:26. Fleet Street was closed eastbound from the junction at Fetter Lane, and westbound from Ludgate Circus, while the incident was dealt with. No injuries were sustained in the fire which is believed to have been accidental. A BRAND new serviced office business centre has been officially launched in Gracechurch Street. The City’s newest serviced offices are located on the third floor of 70 Gracechurch Street – the corner building on the junction of Fenchurch Street which has a branch of Marks and Spencer at ground level. Up to 400 people can be accommodated at the business centre which is the latest addition to the portfolio of serviced office provider Orega. The 26,000 sq ft facility has a large central atrium acting as a break out area, an impressive reception area, wireless phone charging stations and Clevertouch TV screens. The building itself was acquired from Legal & General Investment Management by Hong Kong based Tenacity Group last year for a sum of £271.4 million.